Whether it's homesteading or prepping, gardening is an important part of sustaining ourselves. It does not matter if you are thinking about the present or future! Having a good, sustainable outlet of fresh vegetables, which depends on how good your soil is will prolong life indefinitely. Still, there are things to consider, especially if you are living in an area, like California, that has recently been hit with very hot weather, water bill hikes and – despite the recent rainy weather – droughts. 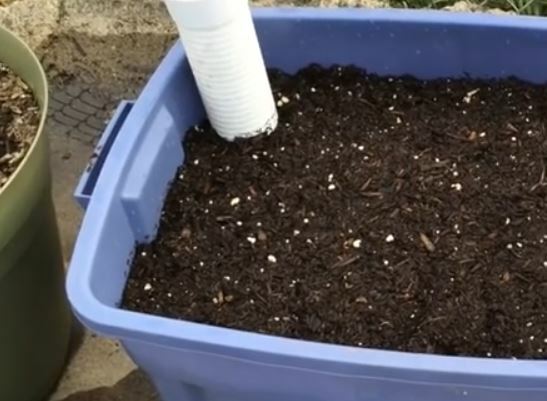 You might want to think about container wicking beds. The idea is to build a reservoir under the soil that you can top off from above through a pipe. The water will then “wick” upwards to the roots and allow the plants to take what they need. Therefore, a lot less water! Check it out by watching a video on the next page!